Grit. What is it? Why do we need it? This month I am talking about Grit here on the blog. 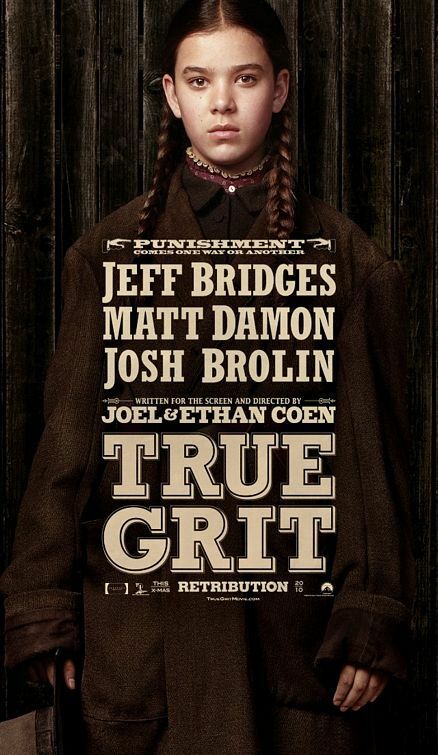 So how could I not choose True Grit for the clip this week? In this scene, Mattie Ross confronts Rooster Cogburn—the grizzly lawman she wants to hire—for the first time. She calls him a man of true grit. However, as the scene continues you realize that Rooster is not the truly gritty one. How will you face challenges this week? I am planning to “Mattie Ross” them. Stay tuned: Starting Tuesday at 6:00 EST . . .